However, the recommendations are yet to be considered by the UGC. 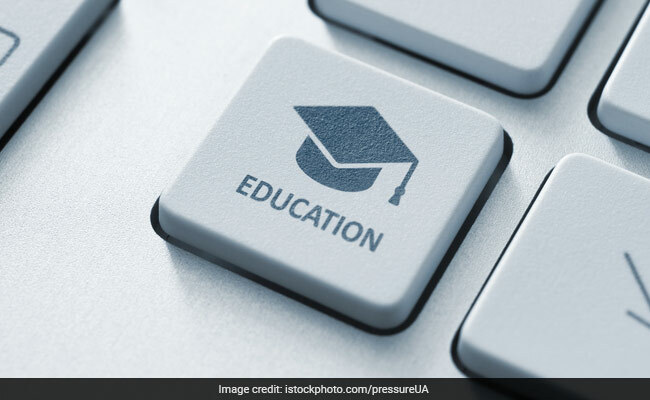 The Empowered Expert Committee (EEC) set by the HRD Ministry for selecting Institutions of Eminence (IOEs) has recommended to increase the number of such institutes to 30 from the current 20, according to senior officials. The University Grants Commission (UGC) had last year in February constituted a four-member committee which was entrusted to conduct the appraisal of applications for shortlisting 20 IoEs. The IoE project for internationalisation of Indian campuses and creating world class universities was rolled out by the Ministry of Human Resource Development (MHRD) in September 2017. “The EEC has recommended to increase the number of Institutions of Eminence to 30. However, the recommendations are yet to be considered by the UGC,” a senior HRD Ministry official said. Union Minister of State for HRD Satya Pal Singh had also informed Parliament about the committee’s recommendations earlier this month. Following first report of recommendations from the committee, the HRD Ministry had last year in June granted the eminence tag to three public institutions including Indian Institute of Science (IISc), Bangalore; Indian Institute of Technology (IIT) Delhi and Bombay. Manipal Academy of Higher Education, BITS Pilani and Jio Institute by Reliance Foundation were granted the IoE tag in the private sector. However, a controversy had erupted over the selection of yet to be established Jio Institute prompting the HRD ministry to clarify that it has just been issued a ‘letter of intent’ and the eminence tag is conditional subject to fulfilment of all requirements. The EEC had then in last December recommended 19 names for the IoE status, which included two public universities and seven private universities and five names from the two categories to be kept in reserve list. Among those recommended in the public institutions list were Banaras Hindu University (BHU), Tezpur University, Savithribai Phule Pune University, University of Hyderabad, Aligarh Muslim University, Panjab University and Andhra University. The recommendations from the private sector included Sharda University, Ashoka University, Amrita Vishwa Vidyapeetham, VIT Vellore, Jamia Hamdard University, Azim Premji University, Krea University, Kalinga Institute of Industrial Technology, OP Jindal Global University, Indian Institute for Human Settlements, Institute of Public Health Sciences and Satya Bharti University. The selected government institutions can get grants up to Rs. 1,000 crore provided they meet certain conditions. Although the private institutions will not receive government funds, they will have the freedom to decide their fee structure and courses.